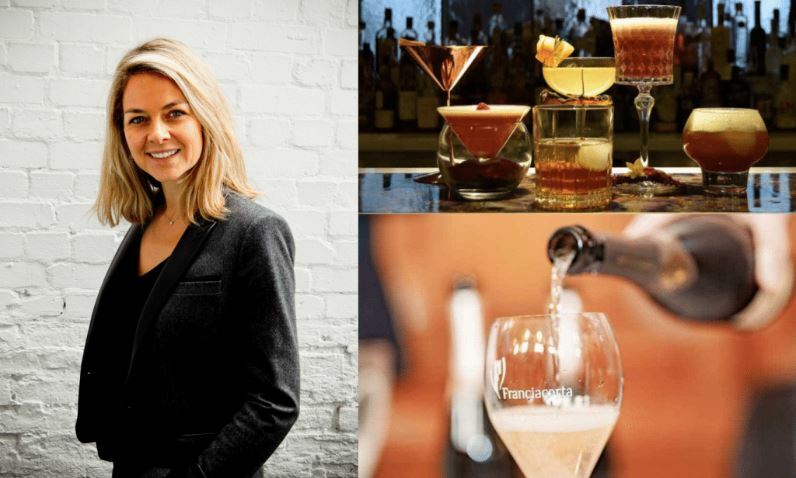 Our Managing Director, Clemence De Crecy talks about the company and family life in her interview with Amanda Barnes. Read all about it below. Clemence de Crecy is originally from Lyon, France, but her studies brought her over to the other side of the Channel in her early 20s. She is now based in London where she runs her successful PR agency, Clementine Communications, specialising in luxury, lifestyle and drinks. Amanda Barnes interviews Clemence to find out more about her path into wine and discovers why coffee and a newspaper are an essential part of her morning routine, and how the uncertainty of Brexit isn’t lost on a French woman living in England with a cross-border business. How did a lawyer from Lyon end up in the world of drinks PR? After graduating with a Law degree in London, I returned to France and was accepted at La Sorbonne CELSA, Paris, to complete an MA in International Marketing Relations. The world of marketing & communication is fascinating and I was excited about the luxury sector and how it would face the challenges ahead. My first paid role in the UK was for Peretti – a lifestyle/drinks agency. As the French person, I was, of course, chosen to look after the CIVC. This gave me a wonderful insight into the wine trade and the luxury world. In 2006, I decided to set up my own lifestyle and luxury PR agency. With offices in Paris and London, I was able to offer the wine and spirit trade a true ‘cross-border’ communication strategy. You founded your agency in 2006 and then went on to have three sons in quite a quick succession. What’s the secret to managing a successful business as a working mother? Achieving a healthy life-work balance is a challenge for many of us in this ‘modern world’ and is no different for me. It helps to be passionate about your work and to believe in the products you are selling – if I didn’t truly enjoy what I was doing, I would have stopped years ago. I am blessed to have three healthy boys and a supportive husband who listens to my business stories each day! Home life is a great release from the stresses of running a business and as a family, we make sure we enjoy our weekends and holidays to the max. At the office, clearly it is a challenge to manage time most efficiently; but the secret is to encourage a collaborative approach and I am fortunate to have assembled an excellent team who take ownership of our clients to ensure success. Along the way, I have learned a lot – my first ever client (who still works with the agency today) was Bernard Magrez; he has provided some snippets of advice, namely ‘never give up’ and it is that perseverance which is embedded across the team today. Each day is different for me, but I try to hold a minimum routine of rising early, enjoying a coffee with the newspapers and exercising before the madness of preparing the children for school and dropping them off. As a business, we have adopted agile working but I prefer to be present in the office at least three times per week to brief the team, accountant and to prepare for meetings, pitches and travel. What is in the pipeline for Clementine Communications and what should members look forward to in the coming year? The agency is celebrating its 12th anniversary in November. This is an incredible achievement and important milestone for Clementine; we have grown consistently during this time, in terms of revenue, profit and staff. Earlier this year, I recruited a very experienced director in Victoria Johns to assist with future growth, in particular, our Food and Drinks division. This has resulted in coverage for Franciacorta, Chateau Lagrezette and our spirit brands St Remy and Bains. At the same time, our luxury division successfully pitched for Bamford London which has some beautiful products to launch. The agency is now up to ten full-time staff and I am always looking to bring in new talent. I am proud to have put in place an experienced ‘non-executive team’ who meet on a regular basis to monitor and drive the direction of the business, we have some exciting ideas for future growth. As we look forward to 2019, clearly there is heightened uncertainty surrounding the whole Brexit process (this is not lost on me as a Francophile who has spent the last 18 years in London! ); which may impact negatively the macro picture. But, I remain confident that the business is well positioned to take advantage of the structural changes which are impacting the way businesses communicate their products to consumers – the development of our social media team is at the forefront of this. You are very well-travelled. Where do you like to escape?